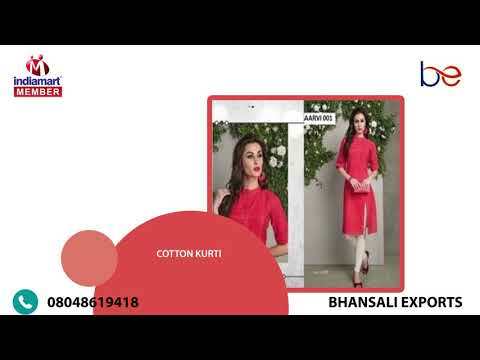 Established in the year 2015 at Mumbai, (Maharashtra, India), we %u201CBhansali Exports%u201D are a Partnership Firm and acknowledged among the noteworthy Traders, Wholesaler, Exporter of the best quality Ladies Stoles, Printed Stoles, Embroidered Stoles, Ladies Shawls and Digital Printed Shawls etc. With the support of our mentor %u201CCb Bhansali (Partner)%u201D, we have been able to attain a huge client base. Our Exporting Countries are Hong Kong, Japan, Europe, Australia, Saudi Arabia.